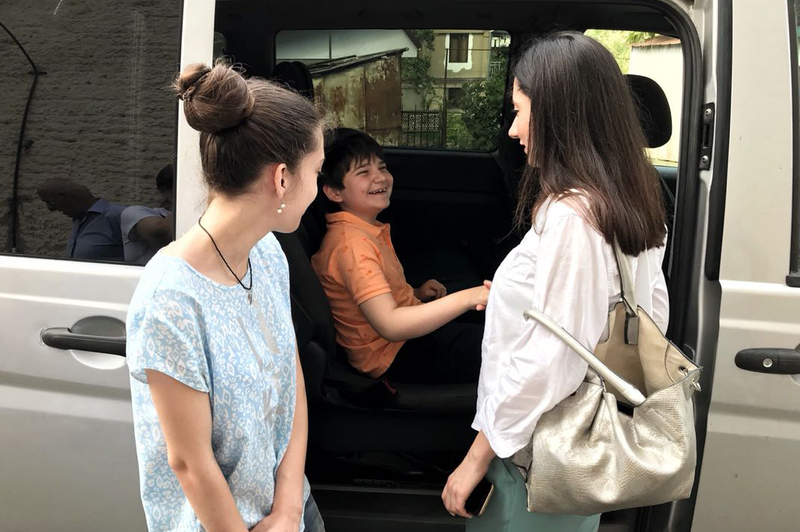 Children with cerebral palsy sent for treatment in Armenia | "International Fund Apsny"
The wards of the "International Fund Apsnн" and the Cultural-Charitable Foundation Ashana, Amir Jigayev and Amina Bigvava, went to continue the course of treatment in Armenia, today. 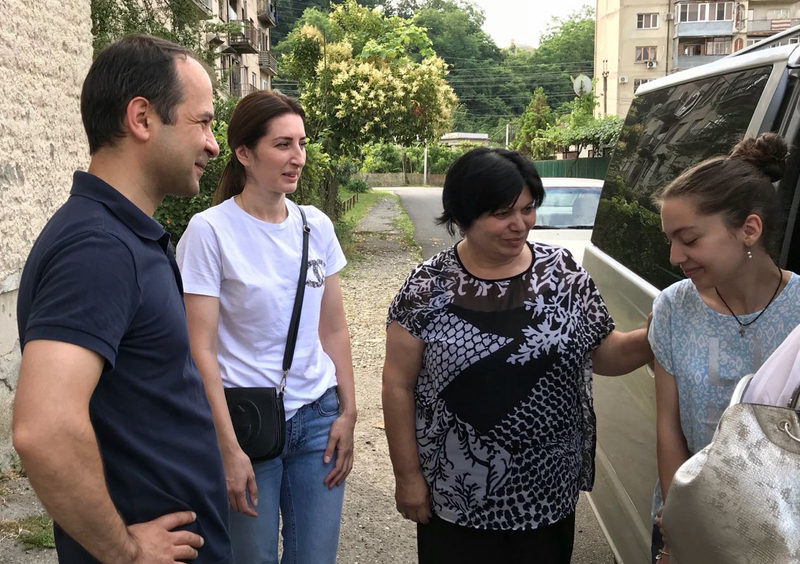 It is not a first time for Amir and Amina to undergo a course of treatment and rehabilitation in Armenia and they are already making great strides on their way to life without barriers. The positive dynamics and effectiveness of the treatment of children inspire confidence and hope for their parents. This treatment was made possible thanks to the warm attitude of the Armenian doctors who repeatedly visited Abkhazia and conducted free-of-charge examinations of children diagnosed with cerebral palsy. 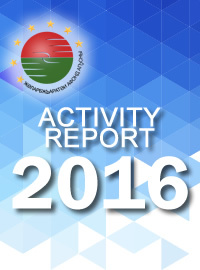 This action was carried out by the "International Fund Apsny" within the framework of the project "Health"
The “International Fund Apsny" and the Cultural-Charitable Foundation "Ashana" cover all costs for treatment at the Medical Center in Armenia, as well as transportation costs. Children after the surgery will be in the clinic with their parents for at least two weeks. "International Fund Apsny" presented a training apparatus- treadmill to Gal Rehabilitation center. "International Fund Apsny" rendered assistance to Ochamchira rehabilitation center. 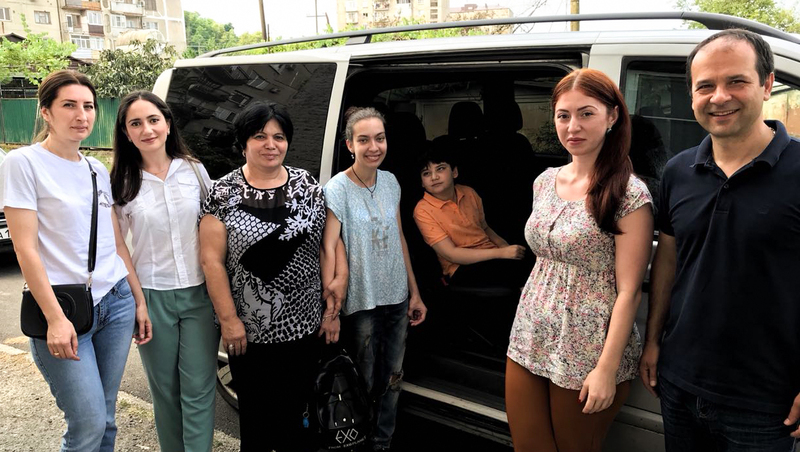 Medical examination of four children from Abkhazia with cerebral palsy in Armenia. The first group of children with cerebral palsy will travel tomorrow to Armenia for medical treatment. “International Fund Apsny” allocated 100 thousand Rubles for medical treatment of Anela Lakashiya. “International Fund Apsny” presented household appliances and medical supplies to Tkuarchal maternity hospital. Doctors from Armenia conduct appointments for children in Abkhazia. Assistance was provided to the Republican rehabilitation center for disabled children. The International Fund "Apsny" transferred 200,000 rubles to the "Ashana" Fund for the treatment of George Torchua. Liana Doguzia with the support of the Fund Apsny will go to Moscow for medical treatment.